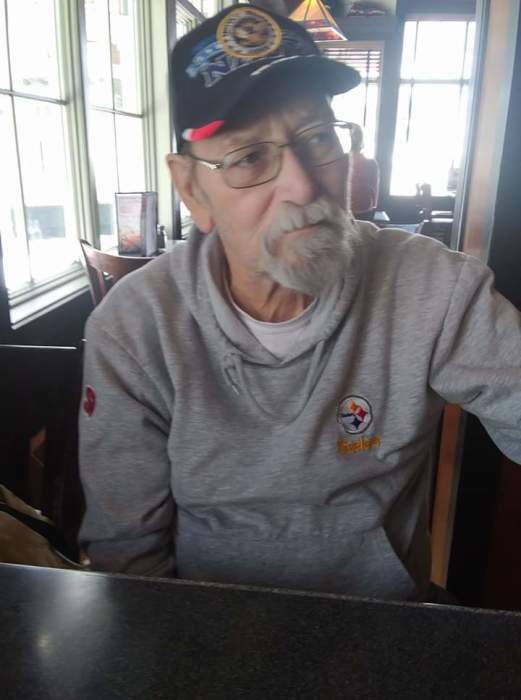 Carl Ray Thedford, 69, of Kingwood, WV, passed away on Wednesday, April 10, 2019, at Ruby Memorial Hospital in the loving arms of his wife, with his step-daughter and family by his side. Carl was born July 15, 1949, in Dallas, TX, a son of Lorene (Turner) Joiner of Weiser, ID, and the late Carl Lee Thedford. He was a 1967 graduate of Greenville High School in Greenville, CA. He was a Vietnam Veteran of the U.S. Navy. After 39 years, Carl retired and was a member with Plumbers & Pipefitters #152 of Morgantown. He was a member of the Vietnam Dog Handlers K-9 Association; the FOE Aries 2391, and the VFW. Carl enjoyed going out to eat and telling his stories. In addition to his mother, he is survived by his wife of 12 years Sherry (Peach) Thedford; his fur baby Lizzy; his step-daughter, Tonya Helms of Kingwood; one brother-in-law, Clyde Peach of Terra Alta; sisters-in-law and spouses, Elizabeth Sisler of Terra Alta, Lilly McCoy of Atkinson, NC, Linda Noss of Baltimore, MD, Josephine Plum, Sandy and Bob Everly, Debbie and Jim Thomas, all of Kingwood; two step-grandsons, Brandon Helms and Amber Swain of Fellowsville, Codey Helms and Leeara Rivera of Kingwood; ex son-in-law and spouse, Bruce and Heather Helms of Fellowsville; several nieces, nephews and friends; also surviving are his extended family at Preston Memorial Hospital who were always so wonderful and caring to him. In addition to his father, he was preceded in death by his step-father, Douglas Joiner; five brothers-in-law; and two of his Vietnam K-9 dogs, Falk and Happy. Friends will be received at the Rotruck-Lobb Kingwood Chapel, 295 South Price Street; on Sunday, April 14, 2019, from 3-9pm; on Monday, April 15, 2019, from 12:00 Noon until the time of the service at 2:00 p.m. in the funeral home chapel with Reverend Ray Frankhouser officiating and Military Honors will be accorded by the Preston County Honor Guard. Cremation services will be under the direction of Rotruck-Crematory in Kingwood following the service. The family requests that any memorial donations be made in Carl’s memory to The Preston County Humane Society, P.O. Box 395, Kingwood, WV 26537.